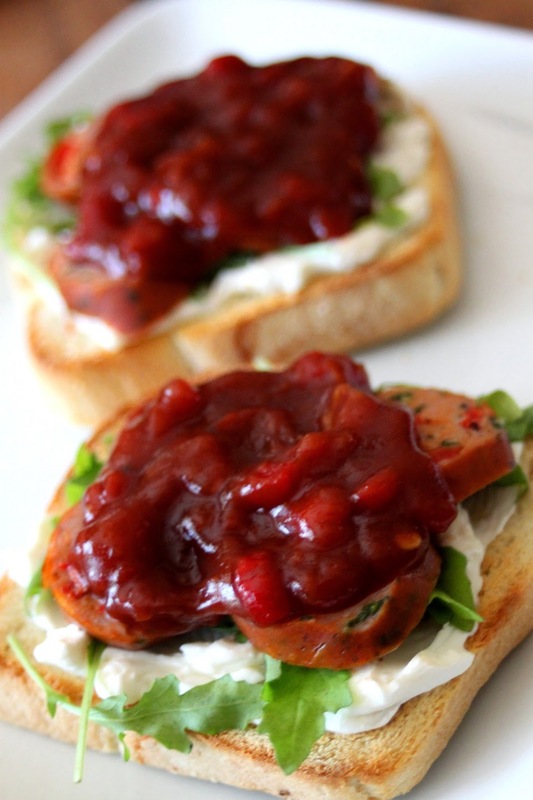 Healthy, Busy Mom: Sweet and Spicy Tuscan Tomato Jam with Tasti-Lee Tomatoes! Sweet and Spicy Tuscan Tomato Jam with Tasti-Lee Tomatoes! Tasti-Lee Tomatoes® (www.Tasti-Lee.com) have the highest levels of lycopene in any tomato variety in the United States. These GMO-free and sun-ripened tomatoes naturally have 50% more lycopene than traditional tomatoes! Tasti-Lee® tomatoes proudly carry the Heart-Check Mark food certification from the American Heart Association that helps people identify foods in stores that meet the nutritional standards of the American Heart Association to promote heart-healthy eating habits. The Tasti-Lee® variety of round crimson beefsteak tomatoes are also ultra flavorful, beautifully red, and perfectly juicy. he flavor and freshness of Tasti-Lee® is that of a just-picked backyard garden tomato, but without all the work. Almost 20 years ago The American Heart Association designed the Heart-Check Mark that is placed on products that have been screened and certified to meet the proper nutritional criteria. Tasti-Lee® tomatoes are proud to promote heart-healthy eating habits to people across America. Grown nationally by leaders in the farming community, Tasti-Lee® tomatoes come in both Organic and Conventional . These tasti tomatoes were created as a premium, vine-ripened tomato picked when. Tasti-Lee® Tomatoes are never artificially ripened or gassed with ethylene for color. Tasti-Lee® tomatoes are available in leading natural supermarkets and mainstream grocery chains around the nation. Now...what to make with all these wonderful, red beauties?! Something I can put on EVERYTHING! Tomato jam is so delicious and can be used as a great condiment on hamburgers, hot dogs or anything else that would require ketchup. It's also a GREAT topper for crostini, savory waffles and all kinds of appetizers! I had mine for lunch today with some fresh, home made bread, a little Burrata cheese, some peppery baby arugula and sliced chicken sausage! Combine all ingredients together in a medium saucepan. Bring to a boil, reduce to a low simmer, and allow the sauce to reduce for about 1 hour, stirring occasionally. Add the corn starch and stir until the sauce is thickened, about 2 minutes. Remove from heat and allow to cool. Transfer the jam to mason jars, cover, and store in the refrigerator until ready to use. Makes two 8 oz. mason jars. Healthy things should always be a yes for everyone, this blogger who’s actually a mom now does know that how the health needs to go. Thanks for ingredients!